Single-platform reciprocating hoists consist of one platform that goes up and down, with as many infeed and discharge points as required. Available in a variety of formats including high speed, standard, cantilevered and counterbalanced variants. Cost effective solution for applications with throughputs up to 500 units per hour. Can be designed to load two units per cycle where additional throughput may be required. 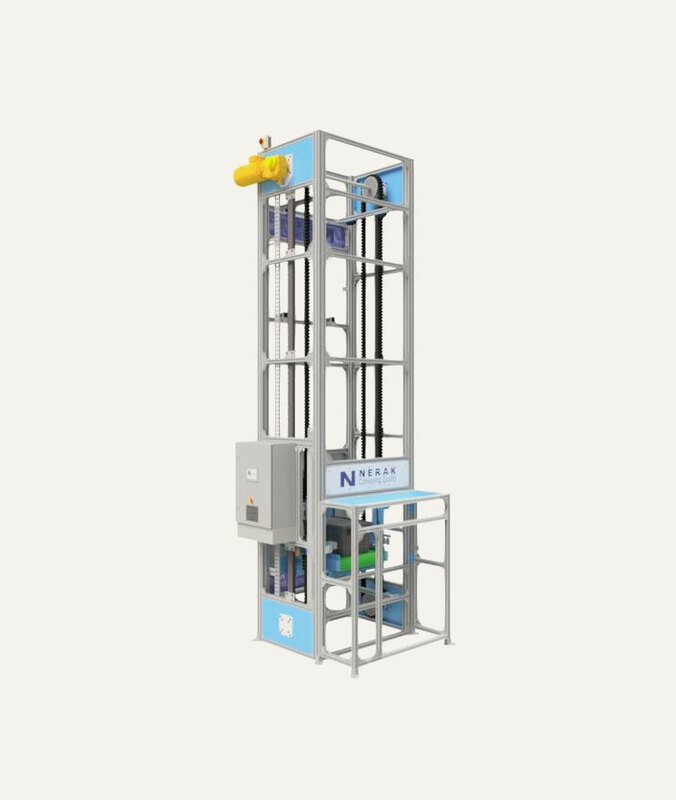 Comprising of robust components, Nerak’s vertical lifts ensure reliable operation in even the toughest of applications. They can either be supplied as a stand-alone system or integrated into a larger warehouse solution.